Consider something that can rotate and has a linear restoring torque on it, bringing it back to its equilibrium position. 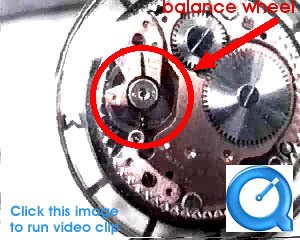 The "balance wheel" in a mechanical watch is a good example. A horizontal tire on a playground swing is another example. This linear restoring torque works for rotational motion just like the linear restoring force of a mass and spring. So this system, too, undergoes simple harmonic motion. This is called a torsional pendulum. As for all simple harmonic oscillators, the period is independent of the amplitude. This is especially important when you think of the "balance wheel" in a watch!